The original recipes states that they can be fried, baked or boiled...I grilled them. Grill very slowly so that the raw potato cooks. That sounds like a really good recipe. I wonder how parboiling the potatoes for a few minutes would do before putting them in the grinder, as far as ensuring they are cooked when the meat is done. I'll give this recipe a try for sure. I've consulted my book Svensk Kokkonst (Swedish Cookery) from 1918, and I can give a few comments if you are interested in a more traditional product. Potato sausages are common in traditional Swedish cooking and there are many recipes from different provinces, but some features are common to most of them. * Skip the wine. I've never seen a Swedish traditional recipe that conatins wine, simply because we can't grow vine here and imported wine has always been very expensive. Use milk or a mixture of milk and cream instead. * Skip the rusk. Rusk is not used in Swedish sausages. A common filler in Sweden on the other hand is parboiled barley groats, but here you already have the potatoes. * Skip the onion powder too. Same here, never heard of it. * Black pepper was uncommon in Sweden until some 50 years ago. White pepper is more traditional. 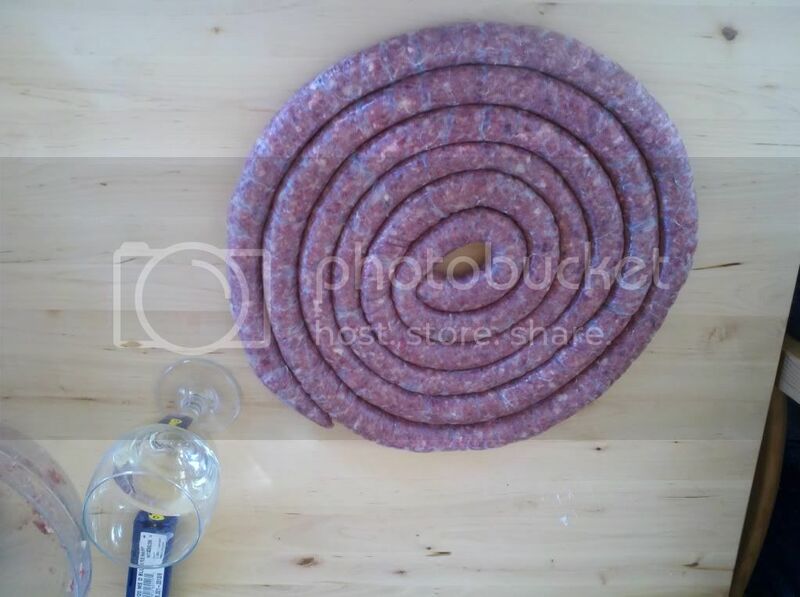 * Elk in sausage? I haven't seen any such recipe, but there is little doubt that it exists, since we have a lot of them here. Why not? Grind finely. 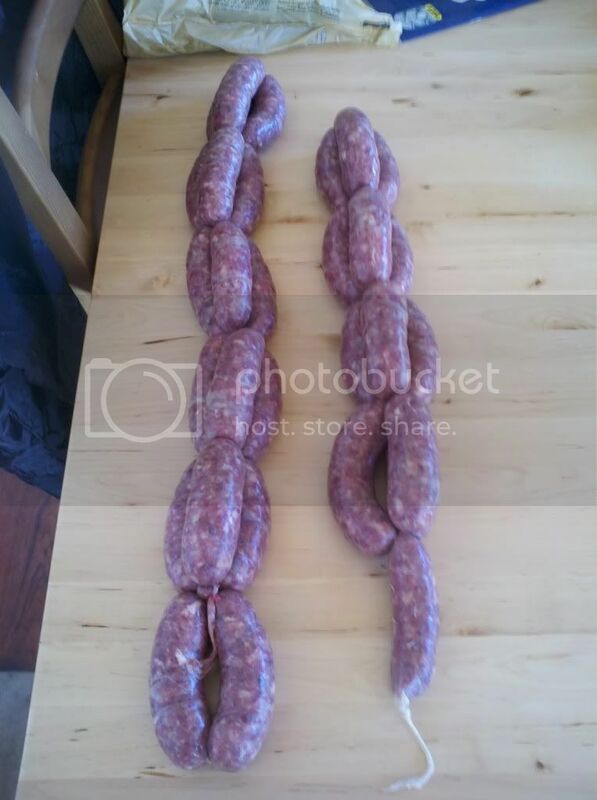 Use about 5 grams of mix per kilo sausage. Swedish sausages are always discretely seasoned. The book advises strongly against using nutmeg in sausages. FYI, André. The Swedish elk (Alces alces), is what we typically call a moose in the US and Canada. I'm almost certain that the elk Dingo added to his sausage is another animal, entirely, Cervus canadensis. Not that it matters, but it would be closer to adding venison, than Swedish elk. There are sausages over here that call for moose, so why not, indeed? Thanks for the tips Grisell. I did use the original recipe fairly loosely...it called for water...i used wine...it did call for white pepper...didn't have any so used black...I used rusk as I was concerned with the moisture content in the mixture with the wine and ground raw potatoes. I will try the traditional approach and spice mix next time. Thanks for the information. Moose meat is very expensive here. I don't know why, since we kill tens of thousands of them every Autumn. Anyway, I don't care much for it. It's very lean and not worth the price. Wild boar is much better IMO if we're talking game. 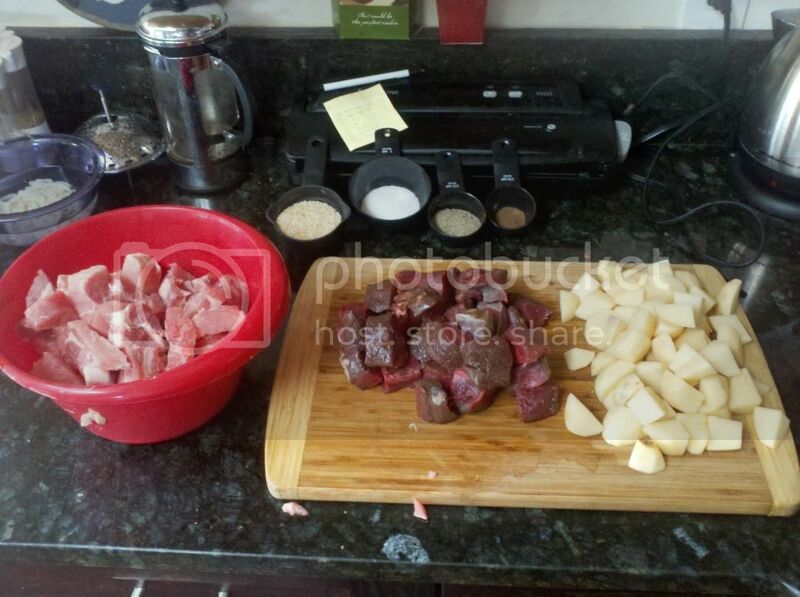 A co-worker is coming over to learn how to make sausage this weekend and has requested Swedish Potato Sausage. I've never made it before and I've found three versions, however, not a single one specify's what kind of potato to use.... waxy or starchy. I'm leaning towards starchy myself....thoughts? I don't think it matters. In Swedish recipes, we usually don't distinguish between the two varieties. Thinking on one of the prior statements that Swedish sausages tend to be "discreetly" seasoned.... 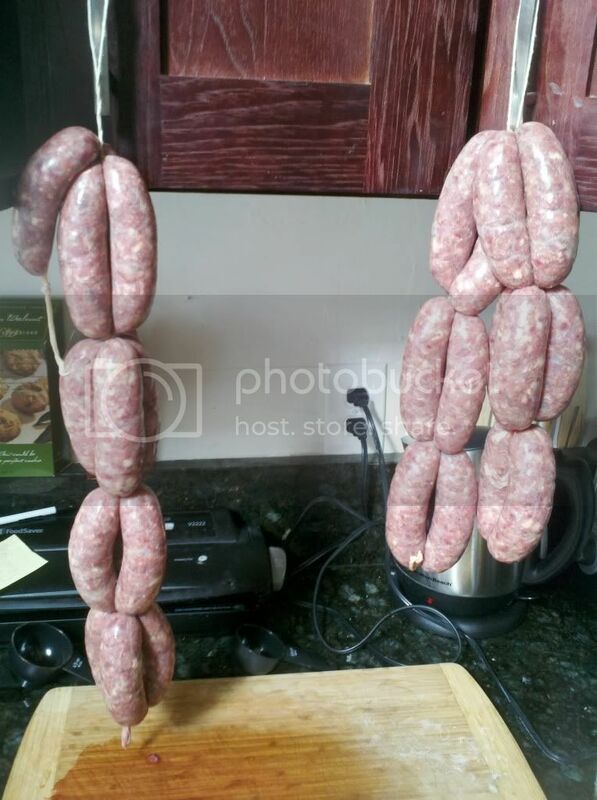 I made this sausage this past weekend (http://lpoli.50webs.com/index_files/Potato-Scandinavian.pdf) and found it to be truly underwhelming. It wasn't a bad recipe but there just wasn't much flavor there. The only modification I made to the recipe was that I used all pork, however, on batch #2 tomorrow I'm going to revert to the 'proper' amount of beef but I'm also thinking about increasing the allspice, pepper and salt. Hi Jerbear i agree with you on the onion point..that;s why i tend to use dried granulated garlic. Pretty readily available here in the US. Next time i make this one, i think i'll try a white wine reduction with onion, garlic and maybe some cilantro to impart more flavor. This time 'round I used a pork/beef mixture about 1.5/1, pre-sauteed the onions in a smidge of butter just until translucent before cooling to fridge temp and doubled the allspice and pepper. Very tasty but a little too mild for my preferences. Once issue I did have is the sausages turned purple presumably from the oxidation of the potato... has anyone experienced this and if so did you use anything to inhibit oxidation such as ascorbic acid or encapsulated citric acid?